When CHICAGO P.D. 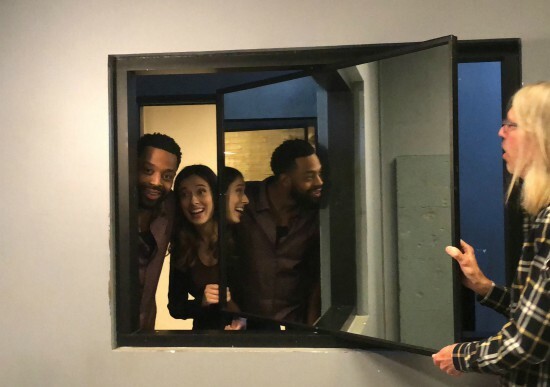 stars LaRoyce Hawkins (Atwater) and Marina Squerciati (Burgess) gave reporters a tour of their sets, they mad more than a little fun with it. The duo showed off their desks and—along with Brian Luce (police technical advisor/associate producer) and Gregory Van Horn (production designer)—elements of the precinct that are true to the real ones (and others they’ve taken their own liberty with), including secrets of the two-way mirror (like in the photo above), and more. Check out the CHICAGO P.D. set tour video!